Submitted by peter on 21 January, 2007 - 19:55. I didn't ask him where he got all the Nissan badges from. Some look like they were nicked off Teanas while others look like they came of Frontiers. If you are missing a badge off your Nissan... maybe it's one of these! 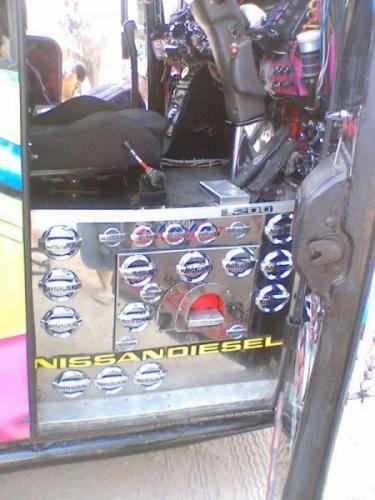 I'm guessing the bus is a Nissan. This image was uploaded with the post Typical Thai Bus! No.... really!.